In NY on March 5th? Want to see Cory McAbee's STINGRAY SAM? Did someone say American Astronaut? Cause I still show clips of that film to people, and while I can't be there myself, McAbee's latest is having a public screening just a little over a week away. 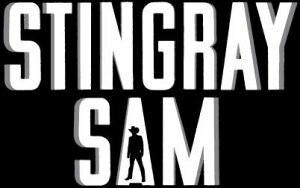 You can see Stingray Sam which will be playing at 92YTribeca at 200 Hudson St. at 8pm on Thursday, March 5th for only a mere $12.00. And not only is McAbee a brilliant filmmaker but he's also one cool cat; he's invited Quiet Earth to a cast & crew screening so we are tentatively set to bring you a review later this week. CORRECTION: The theater at 200 Hudson St. is called 92YTribeca, not the Tribeca Cinemas. Want tickets? Buy em here. Want to see the trailer? It's after the break!